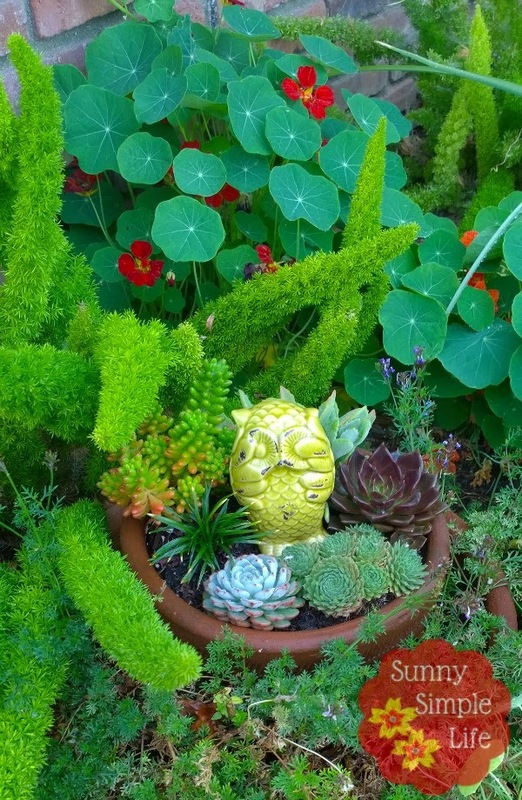 Growing succulent container gardens is quickly becoming a passion for me. I have always loved growing succulents but now I can't get enough. One reason is our lack of rain. 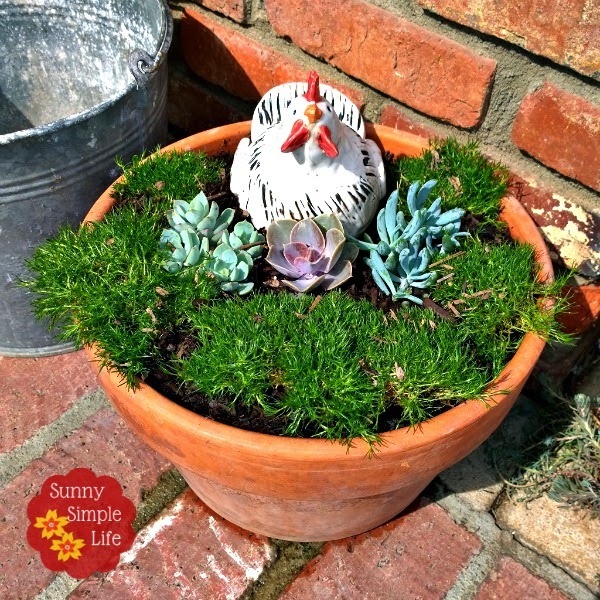 With succulents you can have attractive pots and containers with very little watering. And frankly, they are just so pretty. 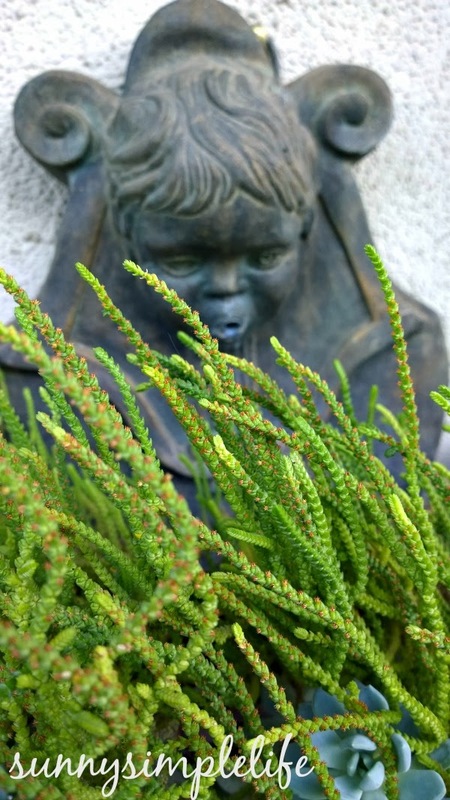 A recent trip to a favorite nursery yielded the shot below. Isn't that little Irish cottage adorable? But hundreds of dollars for this pot so I am content to plant my own. 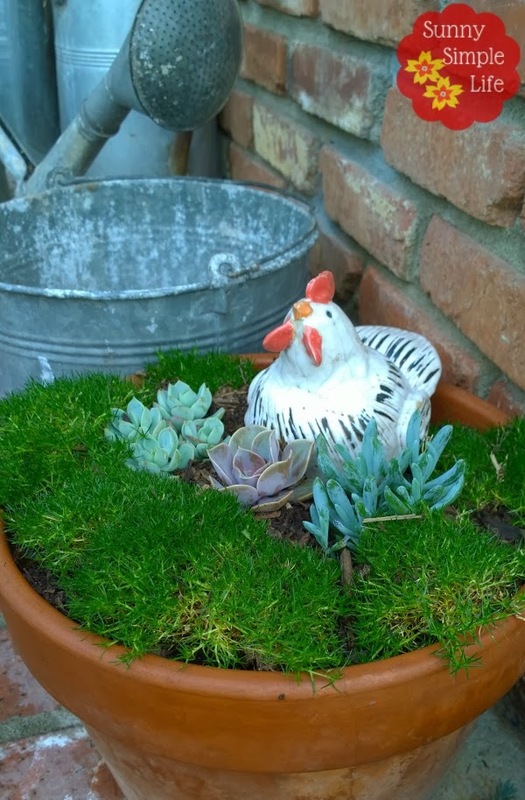 I bought the little chicken at the nursery but came home and used a pot I already had to plant Scotch moss and succulents I bought locally. Scotch moss has the same needs roughly of the succulents. It likes full to partial sun and unlike other mosses it needs to dry between watering and should only be fed twice a year, in spring and fall. Too much nitrogen will cause browning. Mine should fill in nicely to cover the pot. 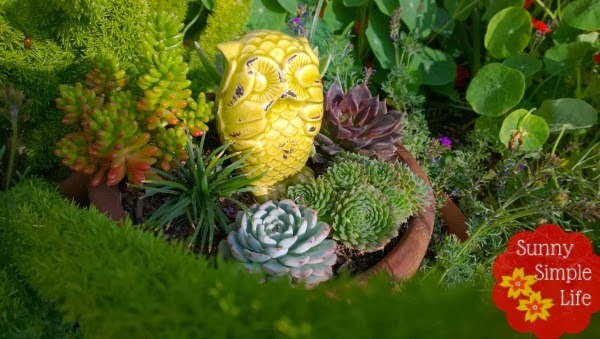 Succulents are perfect for containers like my succulent fountain garden. 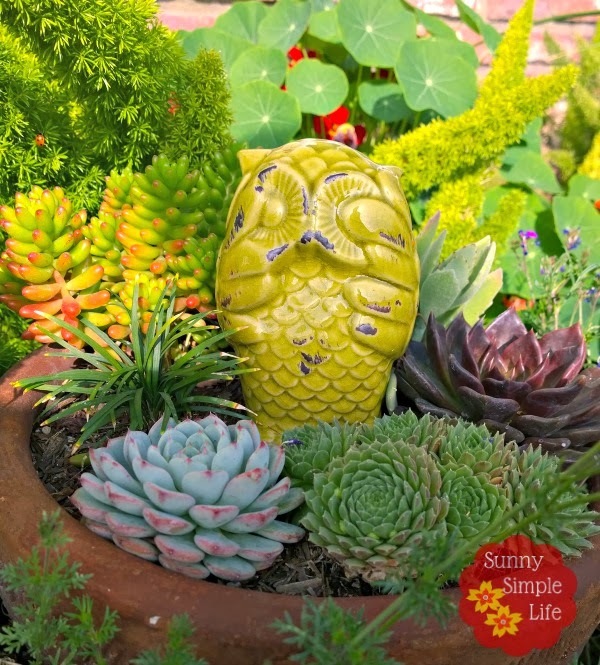 You can use succulents to plant areas or containers that you don't want to have to water often. This container I planted in the fall. Succulents grow slowly so you don't have to repot for years. How can you ask for any easier container gardens? Here I have this pot perched on a larger pot and set in the garden. Adds lots of visual punch but will not require much watering. 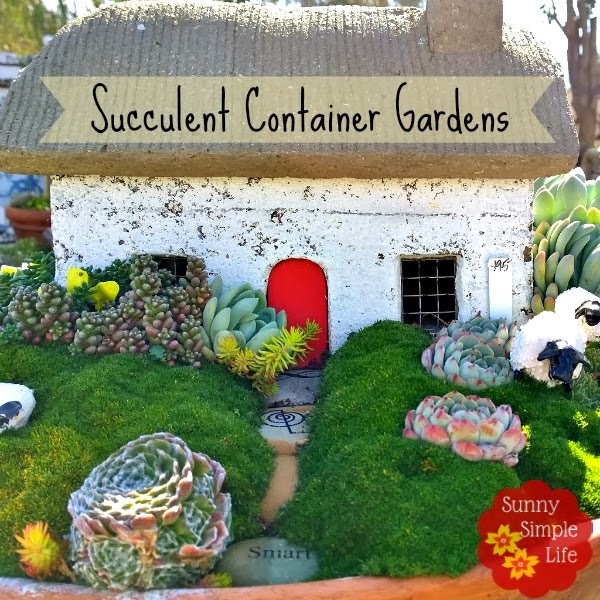 You can follow my tips on growing and caring for succulents here. So pretty Elaine. I only have one pot of succulents. And one Aloe plant. I do love them, and want to plant a bit of fairy garden of sorts. But it will actually be a barnyard. Loving this rain, aren't you? I love your pots Elaine! Just as sweet as the $200 one. I love the brick around your home too! Hope you got my email about us meeting up at Tom's Farms on Thursday March 13 to talk chicken! I love this! I love plants and most especially succulents. I plan on doing some too. It looks like you'll be having a good time with these goodies. How fabulous that repotting only has to happen every once in a while!